As a new customer joining a betting site, seeing all the markets and bet types might seem a little daunting, but one thing that’s very exciting are the promotions. Before even signing up, you can have a look around the site and then decide what you’ll do before placing that all-important first bet. All online sports betting sites put on welcome offers for new players and they’re excellent ways of introducing people who might have never visited an online bookmaker before. The free bets employed by some of the bookmakers, including 888, allow for new users to learn about the various markets and how a betslip works and what it looks like. When you join 888, you must first open a new account on the site and make a deposit using the promo code 30f. Once a player has made a real money deposit of at least £10 at minimum odds of 1/2 (1.5), then they will receive £30 in free bets to use on any sport on the site. The free bets are given out as three separate wagers of £10 each and can also be used on mobile devices. However, they cannot be redeemed on each way bets or permutations. They must also be used in their entirety and cannot be used on a succession of smaller bets. The welcome offer isn’t the only thing that new players can take advantage of at 888, as there are plenty of bonuses and extras under the promotions tab on the website. The promotions tab includes both sport and casino offers, as well as a “Hot Promotions” section where you can find bonuses for specific matches and events, like football and horse racing. As football is the most popular game in the world, you can find a number of different betting markets and bet types on the 888 website. However, it’s not just the Premier League and the major European leagues that you can bet on, as there are markets for almost everything now. Horse racing fans can also find plenty to look forward to when the big meetings come around. There are special promotions for all the big annual events, including Cheltenham Festival, Goodwood and Royal Ascot, including boosted odds on the favourite, refunds on second-place finishes and bonuses one each-way bets. There’s nothing more thrilling than betting in-play and it’s become one of the best modern innovations to the online sportsbook. Punters can now place bets in the middle of a match, game or race, with the odds constantly changing depending on the action that’s taking place in front of their eyes. It’s a completely different era in the world of online sports betting from the one where players used to only be able to place bets pre-match and prior to the start of an event, rather than in the middle. The in-play markets can be clearly found on the top left-hand side on the site’s homepage. The word “live” is highlighted in red text and next to it is a number which indicates how many live markets are available at that moment in time. Cashing out is another innovative feature that’s revolutionised the betting industry and how bookmakers now operate. Cashing out enables players to withdraw their winnings before the end of the game, in the event that something happens, say a goal is scored, which affects their bet. Many online bookmakers are now offering the players an option to partially cash out their bets. This means that similar to the cash out option, players can now withdraw a portion of their winnings and keep the bet active with the amount that’s left. Regardless of which bookmaker you’re betting with, there are always terms and conditions that go with a promotion or special offer and it’s the same for free bets too. It’s best to make sure you’ve read them all before taking advantage of the stated offer. With sports betting, the time it takes for a bet to be settled varies, as does the time it takes for your winnings to hit your account. However, before taking part in a promotion, make sure you’ve noted the closing time for participation, as there’s nothing worse than seeing a promotion, then forgetting to place your bet in time. 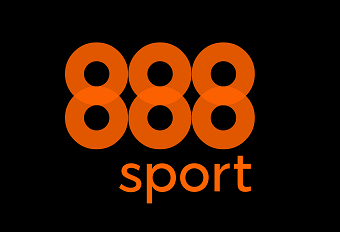 To be eligible for the 888sport Free Bet offer, then you must place a £10 bet on any market with minimum odds of 1/2 (1.5) and you’ll then receive £30 in free bets. These free bets expire after 7 days and the stakes aren’t included in any returns. Players who make a deposit using PayPal, Entropay, paysafe, NETELLER or Skrill aren’t eligible for this promotion.